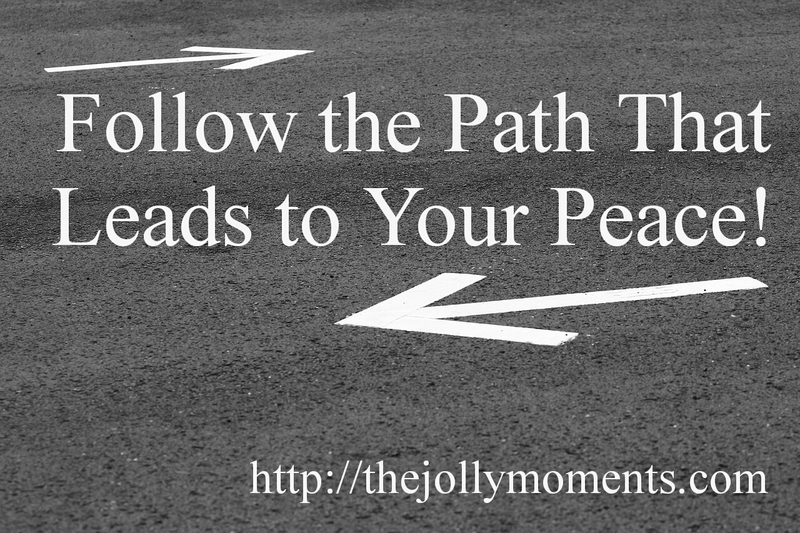 I am on a journey to find the "jolly" in every "moment" life brings my way! Are You Brave Enough to Say Goodbye? Are You Traveling on the Right Road? Count Your Blessings, Not Your Problems! Thanks for visiting The Jolly Moments! Come back soon. Years ago while searching for my first home, I found what I felt was the perfect house. When the time came to put down money, I backed out. Why? I did not have any peace. If you do not have peace about that relationship, job opportunity, marriage, purchase, move, divorce, or whatever decision you are about to make, DON’T DO IT! WAIT! TRUST your instincts. TRUST what God is speaking to you about that situation. It may not make sense now, but TRUST that He knows what is best. If you were inspired, please share on your page of choice by clicking on the buttons below.